We are a group of dedicated educators that will help your children achieve academically. Our team has years of experience in various educational environments including whole-school, individual classrooms, and social work. Every child is unique and different: some learn through reading, some understand through listening, and others absorb concepts through interaction in a creative environment. Parents are worried about the quality of their children's education. Nowadays, the number of students in a class is increasing and schools aren't able to accommodate student needs, yet parents lack time to help their own kids with their homework. Schools are testing students more frequently, and college prospects have to pass placement and scholarship tests; hence our children have to be prepared for the competitive race ahead in their careers. Realizing that children (and their parents) need someone highly proficient to approach them INDIVIDUALLY, and based on parents constant requests to get help in this field, we came into existence as "A PLUS TUTOR USA". 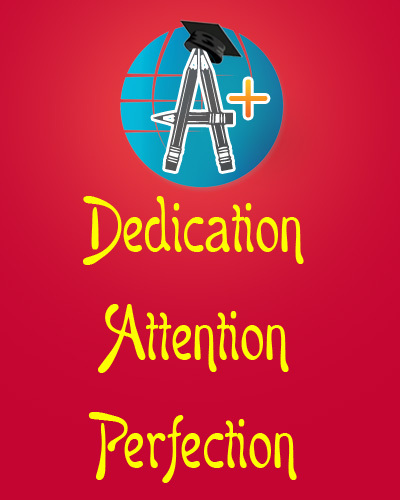 A Plus Tutor USA has identified these challenging differences and came up with a solution to cater to your child's unique learning abilities, to make them learn, grow and excel in studies. We will help achieve academic success for students in grades K - 12 through our tutoring plans which meet the Common Core syllabus requirements. Our tutors offer one-to-one (1:1) instruction and also teach students in small groups of (1:3 maximum). This is the best scenario where students learn quickly. The small group gives them confidence and simultaneously allows them to compete in a healthy way. They are tutored in the core subjects: math, English, science, and second language. We also offer highly effective sessions in EOG/EOC/CogAt test prep, college entrance test prep (Plan, ACT, PSAT, SAT), test-taking strategies, study skills and academic (homework) help. Let me introduce myself. My name is Nirmala Rao Koripella. I am the founder, coordinator, and primary tutor of A Plus Tutor USA and am also a parent. I have worked as a school social worker for over 10 years. School social workers are trained in child development, behavior assessment, inter-personal communication, and social practices. As a school social worker, I played a vital role in the entire educational team and had an integral role in the pursuit of educational excellence throughout my career. My duties included development and implementation of strategies to address and eliminate barriers for student learning and achievement. I will help your child cope with the common school issues like learning problems, study skills, time management, organizing skills and improving grades. I will confidentially address adjustment problems of your child, such as under- achievement, lack of motivation and lack of attention in the classroom. In special cases, I can offer special third party help. The ultimate success of my team and me lies in elevating the under-performer to an acceptable level in the classroom. Make education an interesting activity for your child to pursue learning. Motivate your child to become a self-directed and independent learner, encouraging each child with an individual approach. Ward off exam fear and make your children go to school with confidence and enjoyment as if they are going to play. Work toward helping parents grow a self-confident young person ready to overcome these worldly challenges. See children excel in their studies and relieve parent's stress regarding their child's low grades. At A Plus Tutor USA I personally evaluate the child's problem and closely collaborate with you to develop an effective solution. We effectively tutor students one-on-one so they receive the undivided attention of their expert tutor to the learn content and strategies to significantly increase their exam score. © Copyright 2014. A PLUS TUTOR USA. All Rights Reserved.